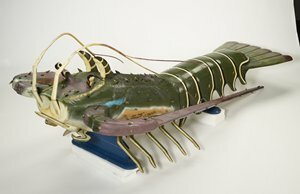 Museums like the MIA often describe themselves as encyclopedic, which has lost some meaning in a time when encyclopedias are most readily spotted at garage sales for a buck a set. It just means the MIA is a comprehensive museum, with art from A to Z, soup to nuts (if you really want to date yourself), Argentina to Zimbabwe. Along those lines, and in honor of the unusual convocation of countries taking place in Brazil, we rounded up a significant work of art at the MIA from each of participating country (save one, Uruguay, unfortunately unrepresented in the collection). Enjoy, then get back to the TV. 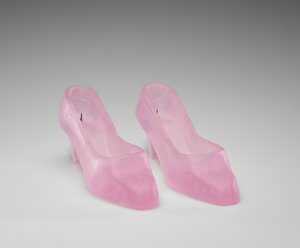 Argentinian artist Silvia Levenson’s “Cinderella Shoes,” on view in gallery G240. A “fantasy coffin” from Ghana, shown here with no allusion to Ghana’s loss to the U.S. It’s on view in the MIA’s African galleries, G250. 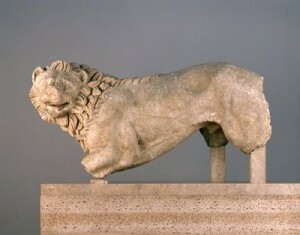 A crouching lion sculpture—a tomb guardian—from a cemetery north of the Acropolis. On display at the MIA in gallery G241. 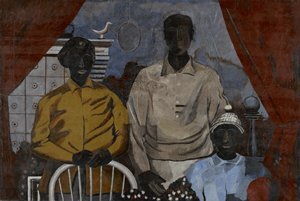 Rufino Tamayo’s painting “The Family,” from 1936, on view in gallery G376.